We got up early again. I took my wife and Mary into the dentist in Sieci. He put a new filling in her tooth. She was pleased that he was gentle and skilled and only charged 100.00 Euros . We came back to the Villa and she slept most of the day. I read and slept down in the cabana near the pool. The four of us left about 6:30 to find a restaurant that my wife had found in a tour book. We couldn’t find it. We ended up at a beautiful hotel, Villa San Michelle, which had been a monastery. Mary went in to look around and decided it was a good place to have a drink. It was beautiful inside. The bar area overlooked Florence. We sat on comfortable furniture around our table. We had drinks and they brought us little treats. 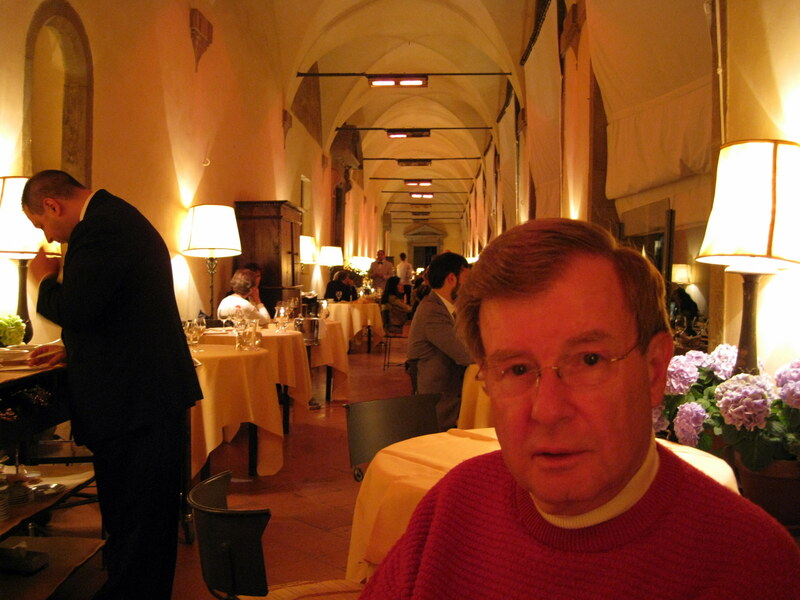 My wife and I had been looking for a real posh place to have dinner in Florence and this was our last night. Mike and Mary don’t do “fancy” as far as restaurants and food are concerned. I suggested that we eat dinner there and that it would be my treat. They happened to have a table available. 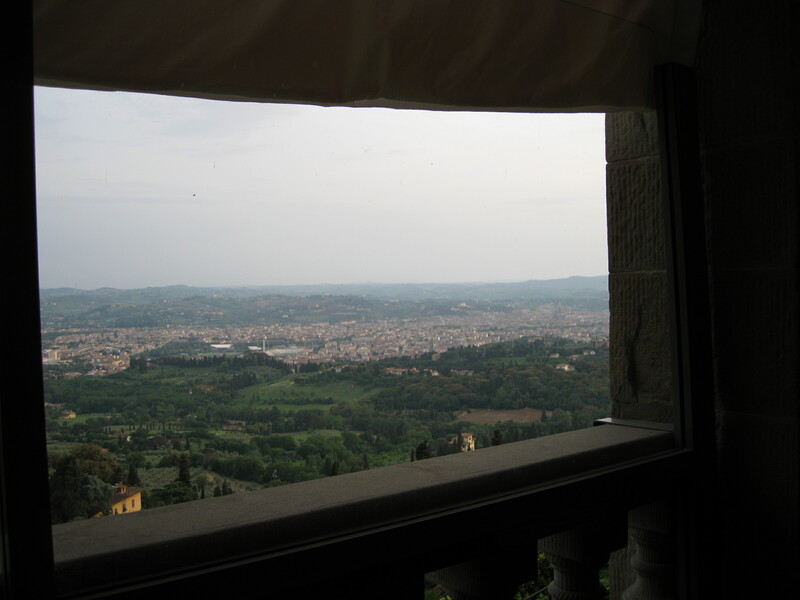 We were seated on the same side of the restaurant with a wonderful view of Florence. It was a wonderful and fancy dinner…rather expensive, but not quite as much as Tour de Argent in Paris where we encountered the nation debt. Home to bed…rather full and happy.